39 BCS will be like a Regular BCS or Special BCS? When will be 39th BCS Preliminary Exam? 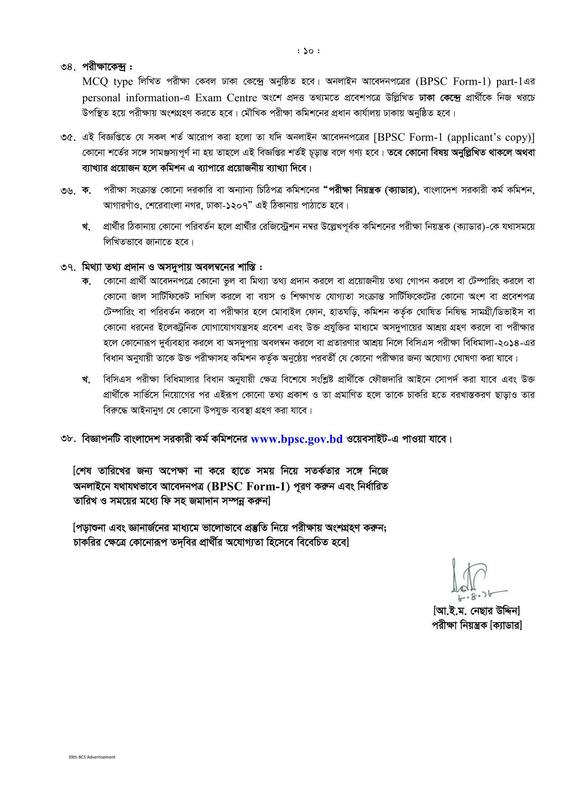 BPSC will publish the 39th BCS preliminary exam circular very soon. 39 BCS will be special BCS and it will be applicable only for doctors as far we got the news. 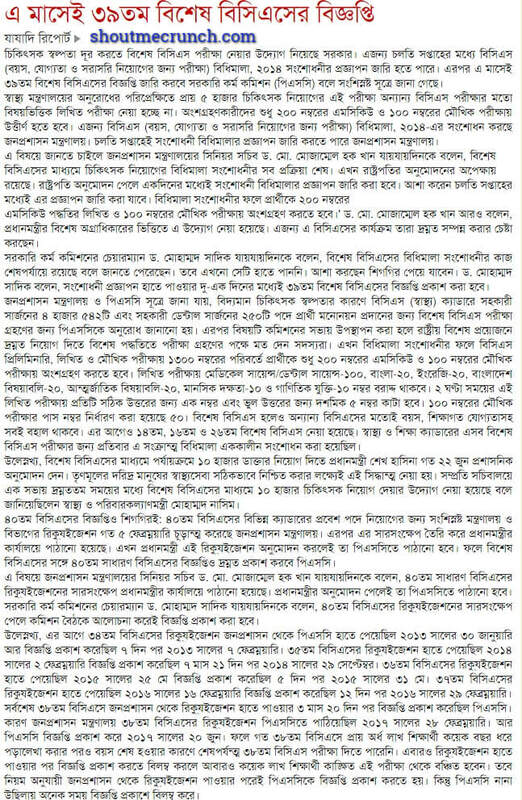 The Daily Ittefaq published news about 39 BCS on 4 OCT 2017. From that source, we knew that around five thousand doctors will be recruited by 39 BCS. Among which four thousand five hundred forty-two (4542) doctors will be recruited against the post of Assistant Surgeon. Two fifty (250) doctors will be recruited against the post of Dental Surgeon. 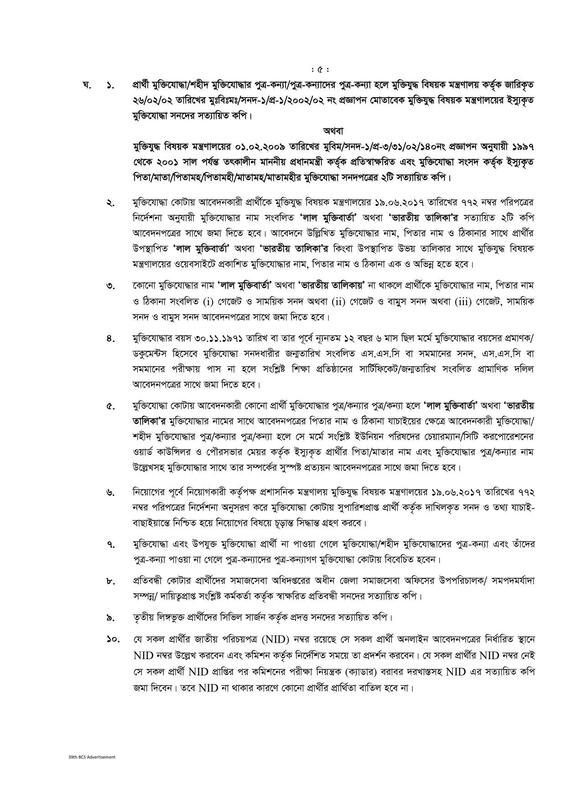 Bangladesh Public Service Commission (BPSC) will publish the circular. 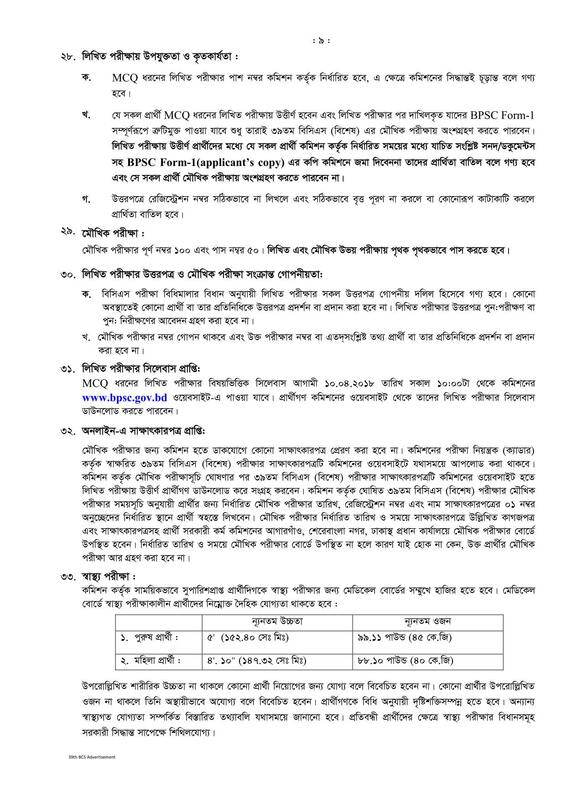 Bangladesh government has passed an extraordinary gazette for recruitment of 39 special BCS only for doctors. Today on 24 March 2018 Bangladesh government pass this special gazette. In this gazette, they also published the mark distribution of different subjects in 39 PCS with medical science and other subjects. Total hundred number allocated for medical science and another hundred number for general subjects. The exam time will be 2 hours, and there will be negative marking. For every correct answer you will get one number and for every wrong answer, 0.5 marks will be deducted. The hopeful news about the 39 BCS is that Government is taking the right decision for not taking the lengthy and time to consume written exam for the examinee. 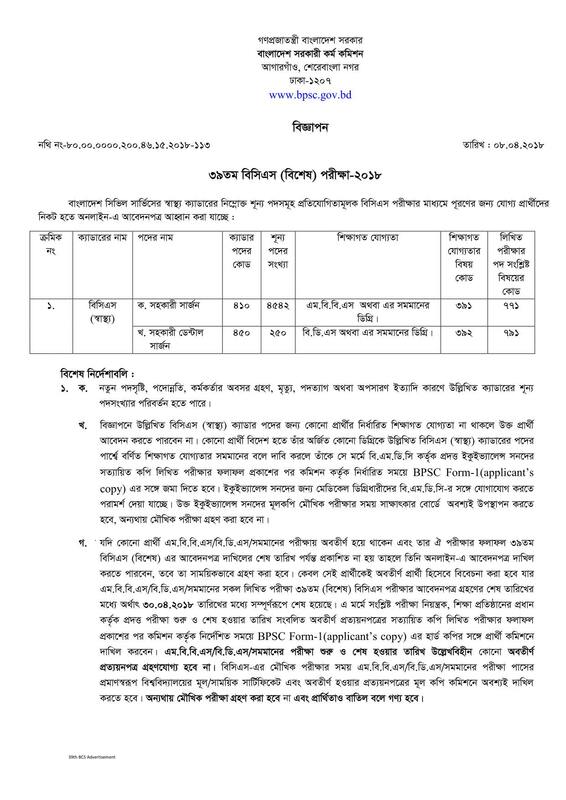 This special BCS seems to be emergency doctor recruitment for the Upazila level. There is a scarcity of MBBS doctors in every Upazilla health complex of Bangladesh. In 33rd BCS government has taken the initiative to fulfill the number of doctors allotted in each Upazilla. But for doing post-graduation and completing the 2 years in the periphery, most of the doctors are in out of the periphery. Please download the PDF version of the 39th BCS Circular of 2018. We are providing two links for downloading the PDF of 39 BCS. 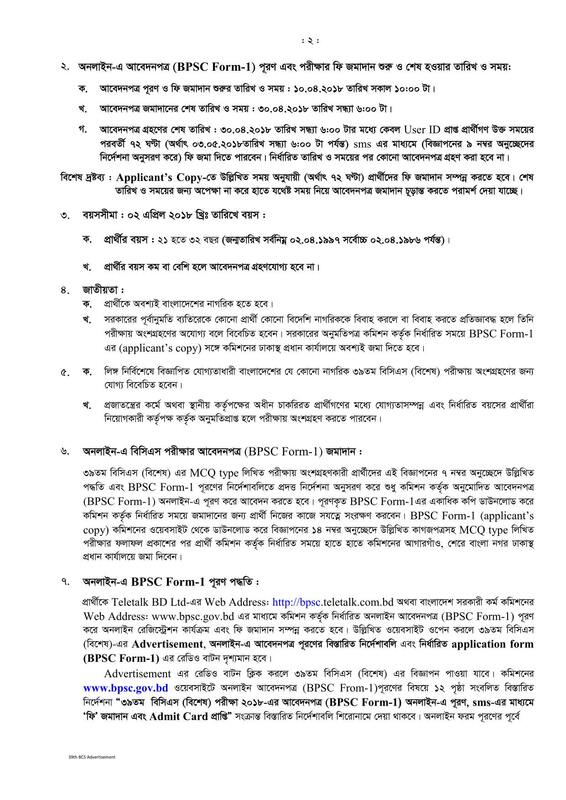 We will upload every page of 39th Special BCS PDF circular Page by Page here. Stay in touch, and like our page or bookmark this website to get this website faster. 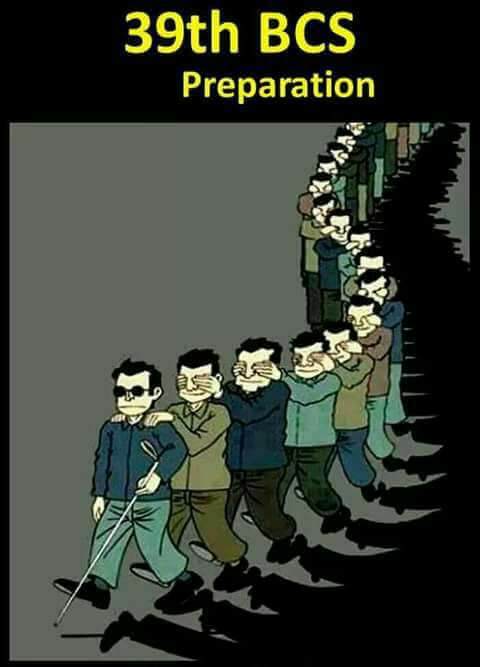 Tahmeena Naznin Annie published an excellent schematic image of how people are now preparing for 39 BCS. There is lot rumour about the 39th BCS Syllabus. Genesis and Matrix; 2 renowned medical aid intuitions for Bangladeshi doctors. Matrix has already published BCS guide and marketing the guide as it is for new syllabus. But Government still did not publish any syllabus for 39th BCS officially. The answer to this question cannot be given now because steal the preliminary circular is not published. There is a rough estimation about the preliminary exam and the preliminary circular. The preliminary exam held usually after the three months of the publication of the preliminary circular. If you want to download the admit card of 39 BCS exam please click the following link to download the admit card. Admit card will be available before 15 days of the preliminary exam. 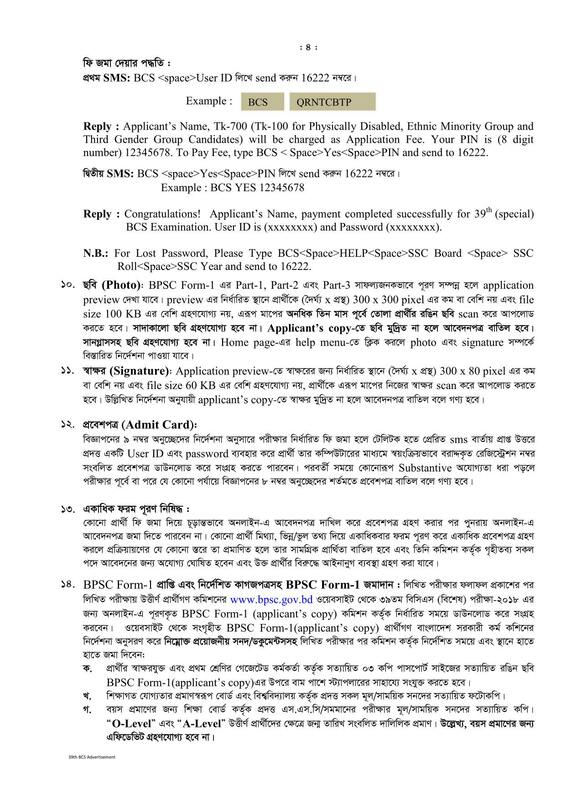 Usually that Teletalk Government Website (bpsc.teletalk.com.bd) for the BPSC give the admit card. If you use the Internet Download Manager which is known as IDM you cannot download the BCS admit card. You need to uninstall the internet download manager to download the admit card of PCS exam as it is supplied by PHP printing method. 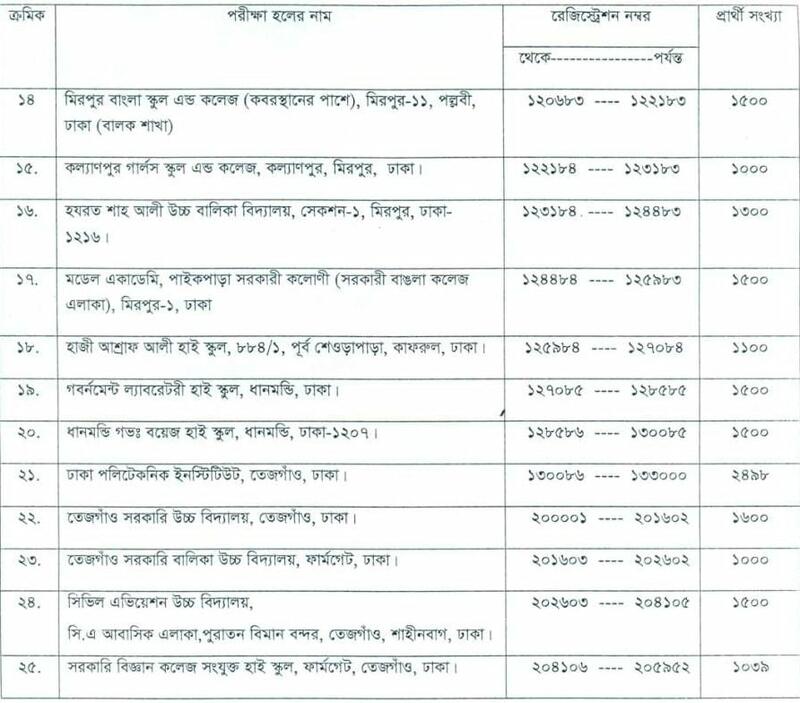 We will upload that 39 BCS Seat plan according to the BPSC. We will upload the various version of the Seat plan as there are too many exams for the BCS. 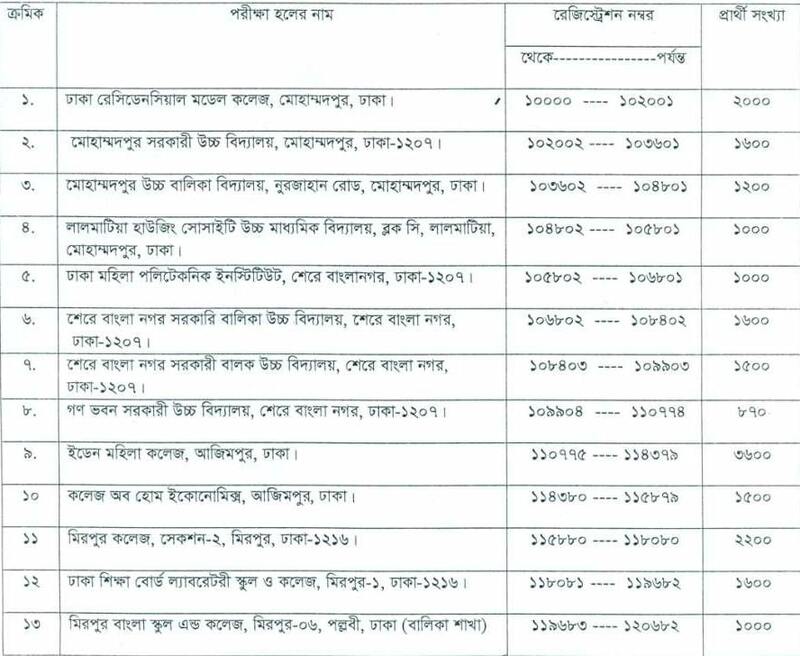 39 BCS preliminary exam seat plan will be given for district wise. Stay with us to get the latest question solved of 39 PCS exam. We will collect the 39 PCS question paper and give the song from the expert. For that, we need some time to give the final conclusion question solve. We will upload the scan copy of 39 BCS preliminary exam. You can bookmark our site to get the 39 BCS exam MCQ result. After giving the preliminary exam usually, BPSC needs 3 to 4 months to publish the MCQ result. It is a huge recruitment for the doctor if need some more time. We will publish any update about 39 PCS MCQ result if we got; till then stay with us. article is nice,, specially the background song.